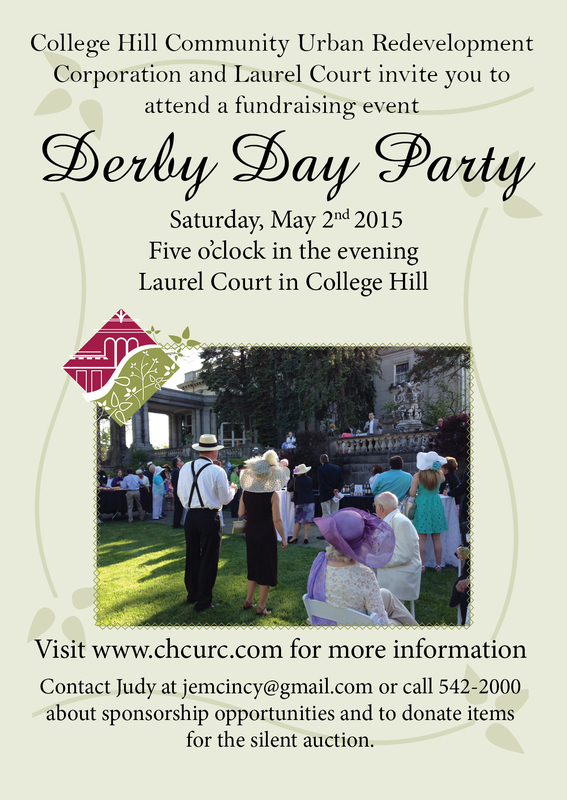 SAVE THE DATE - Derby Day: May 2nd, 2015 - College Hill Community Urban Redevelopment Corp. The College Hill Community Urban Redevelopment Corporation (CHCURC) is a leading, non-profit civic organization in College Hill. Our mission is to revitalize the Hamilton Avenue business district to strengthen the surrounding College Hill community. We work closely with other civic organizations to promote College Hill in many facets and directions.